I'm not sure what I think of this film. Initially I thought perhaps seeing this at the end of eight heavy films playing at the Human Rights Watch Film Festival lessened it's impact, but the more I think about it the less in love with the film I am. 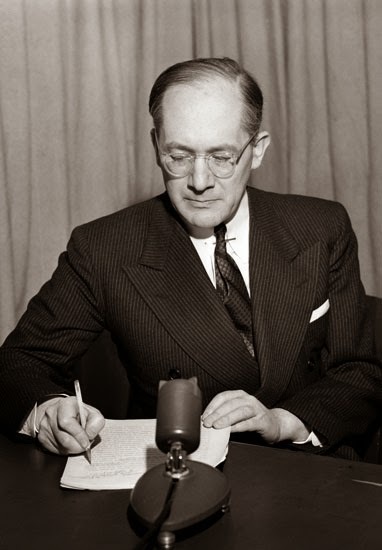 The film tells the dual story of Raphael Lemkin, the man who coined the word genocide and who worked to make sure that those commit it can be legally punished. He was the man who work to get the idea of crimes against humanity to become a legal one. At the same time the film follows several cases of genocide (Darfur, Bosnia, Rwanda...) and we meet people who are fighting to put a stop to it. Visually alive with animation and text that fills the screen this is a flashy film that almost has too much going on. The film has this need to tell us and show us all these wondrous things whether we need to see them or not. It kind of matches the narrative which not only tells Lemkin's story but those of the modern genocides. .
To be fair this isn't a bad film, its actually quite good if overly busy and perhaps too long (it's over two hours). Following the fairness line of thought. I want to revisit the film away from the film festival where I can take it on it's own terms. Perhaps when it opens i theaters this fall.